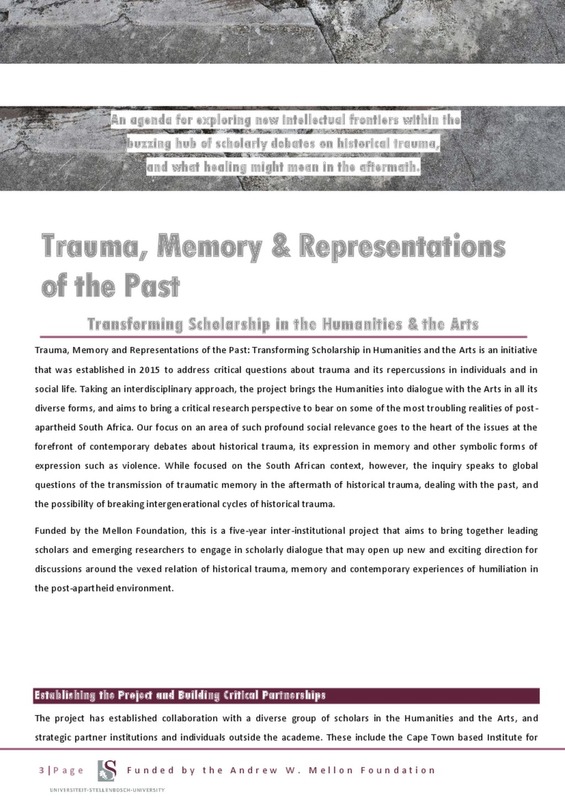 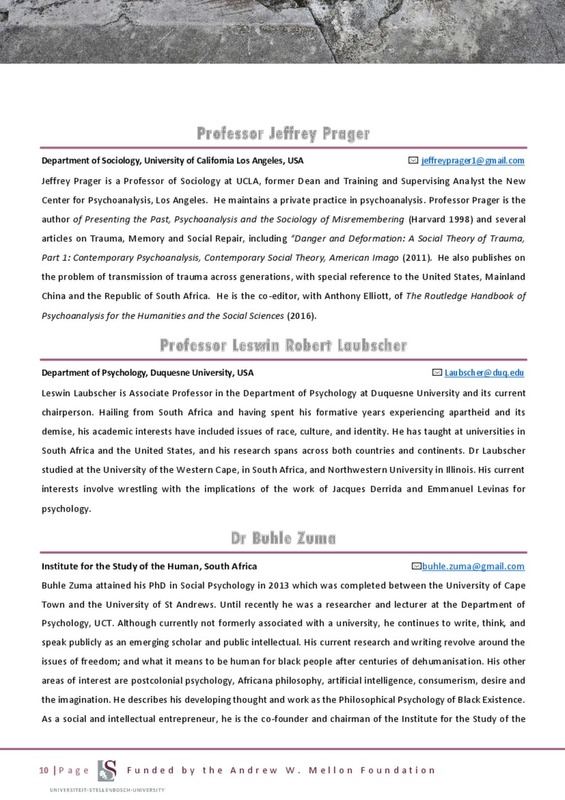 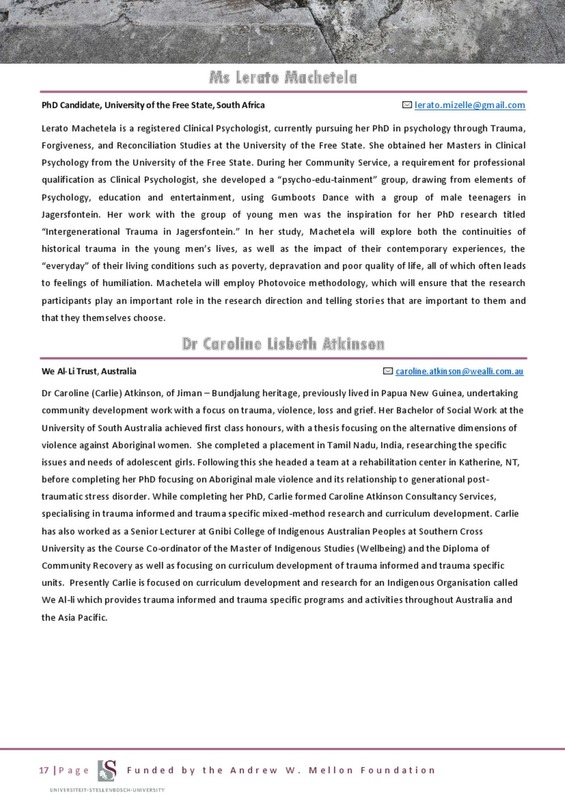 The research symposium brings together an interdisciplinary team of scholars ranging across the fields of psychology, philosophy, art, literary studies, cultural studies, and others to reflect on new ways of thinking about historical trauma and its transgenerational repercussions. 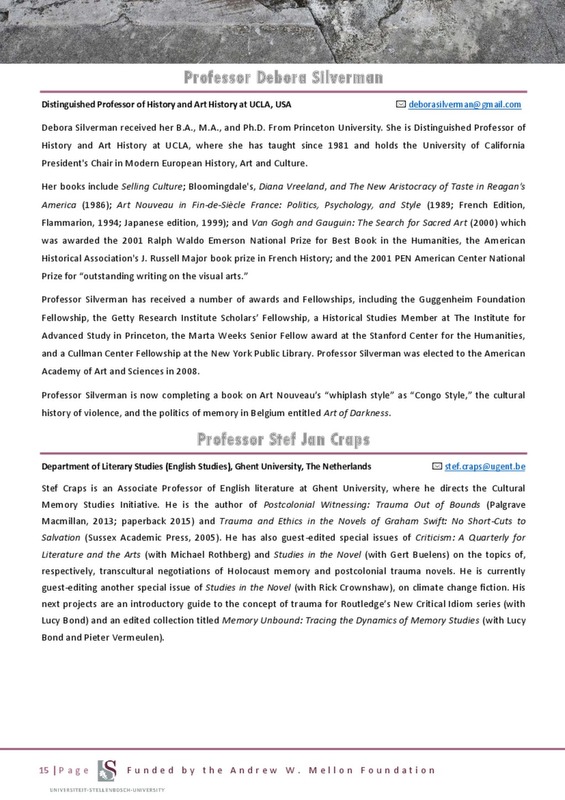 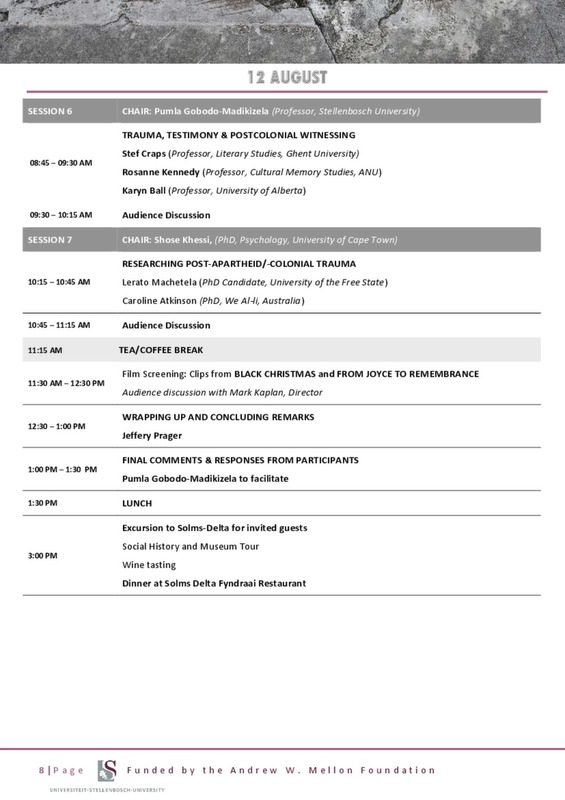 The symposium will be held annually throughout the project’s funding period, and will culminate into a book volume and/or a special issue journal. 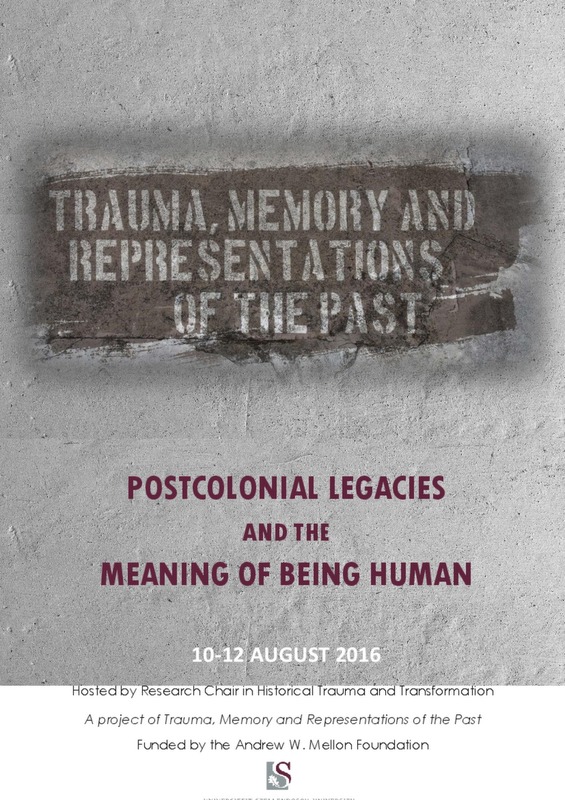 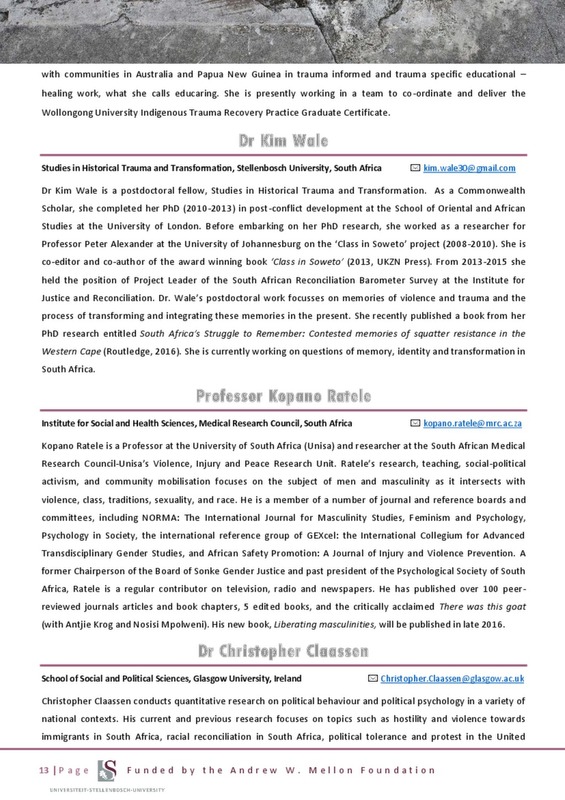 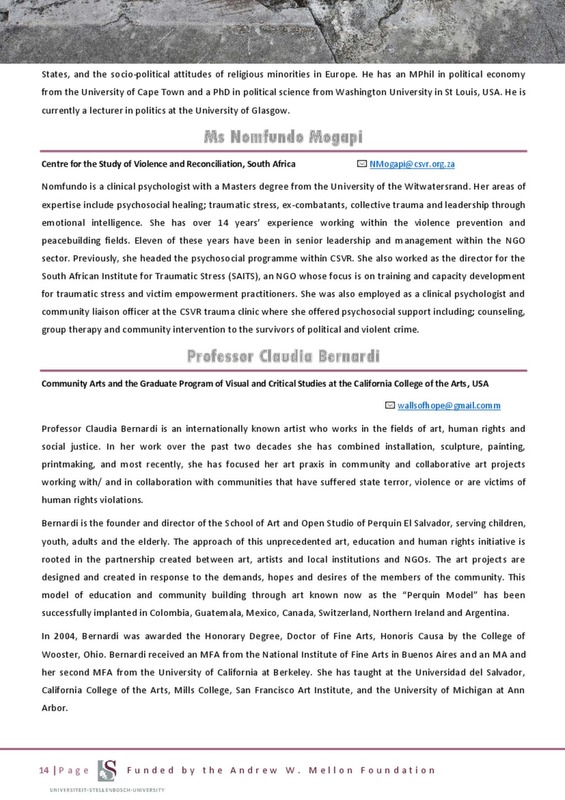 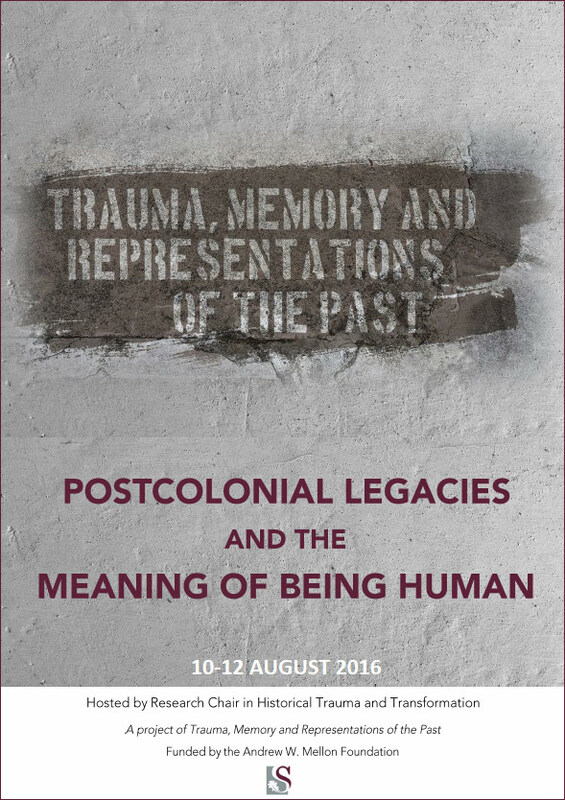 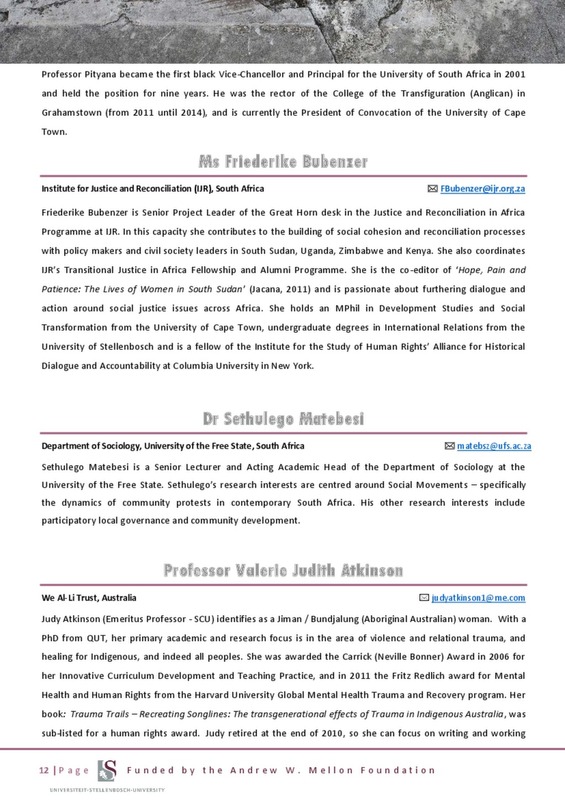 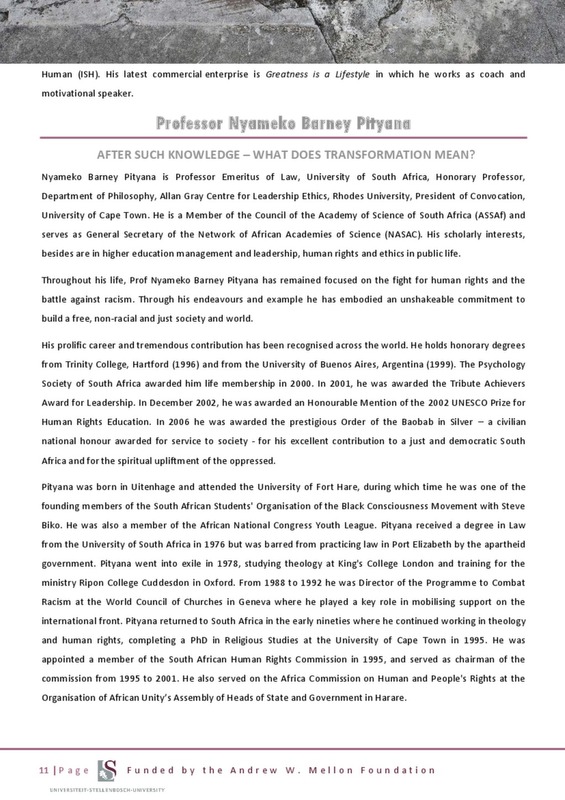 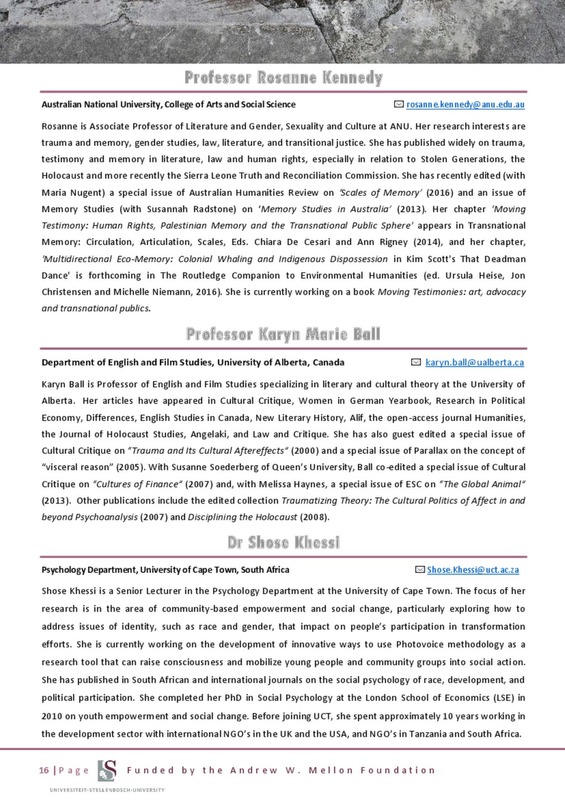 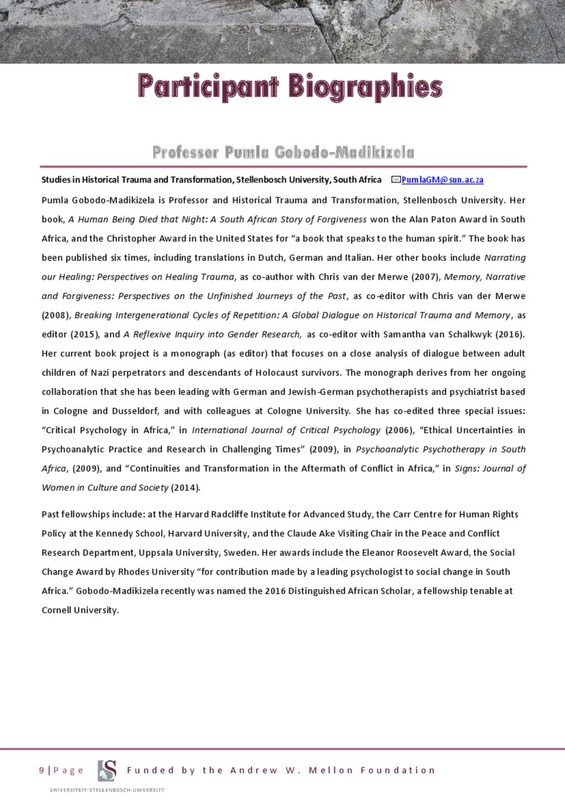 The inaugural symposium, titled “Post-colonial Legacies and the Meaning of being Human” will be held from 10 – 12 August 2016. 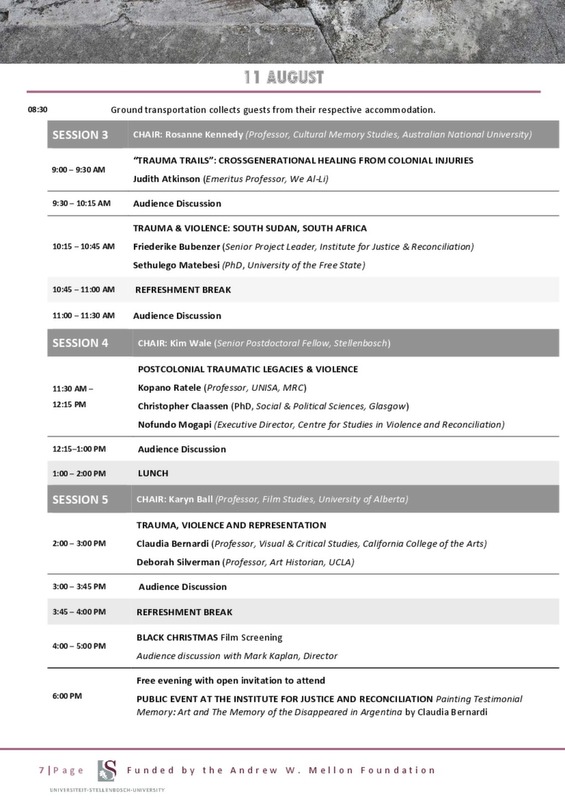 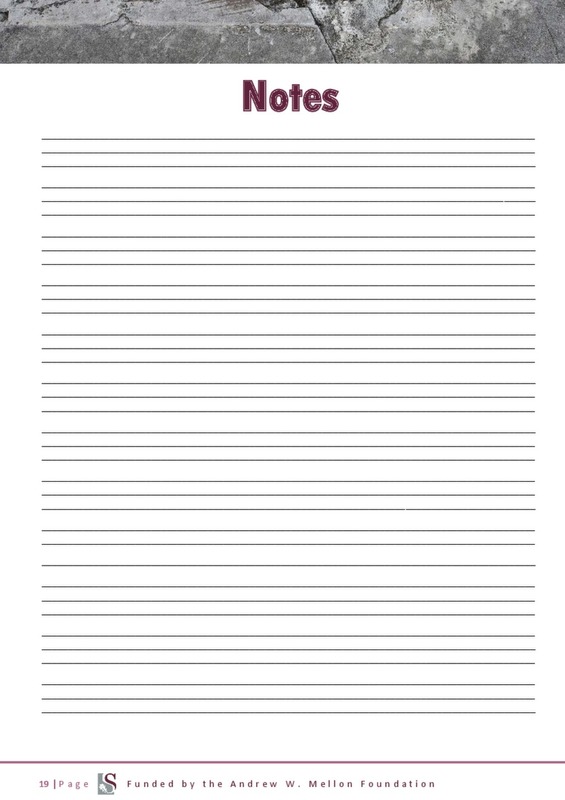 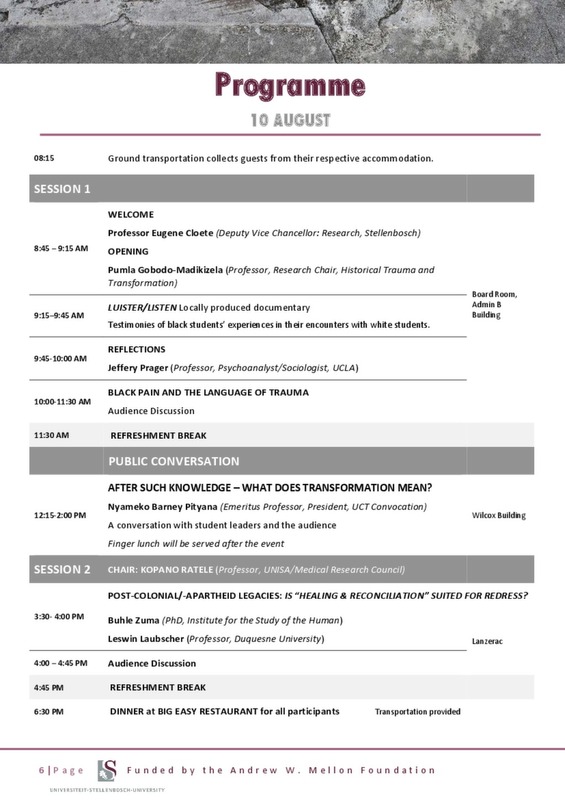 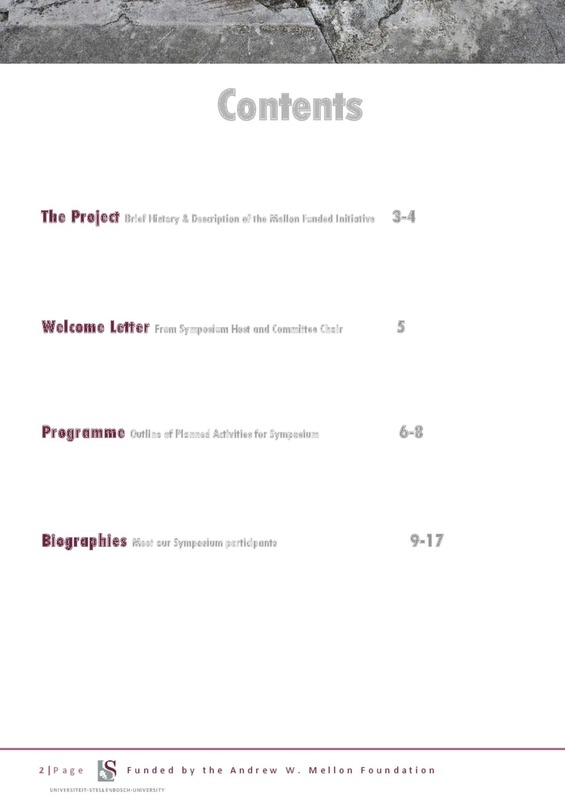 View this symposium programme here.